1st & 3rd Tuesday - 6:30 P.M.
We are 30+ members strong serving the Bernards community. 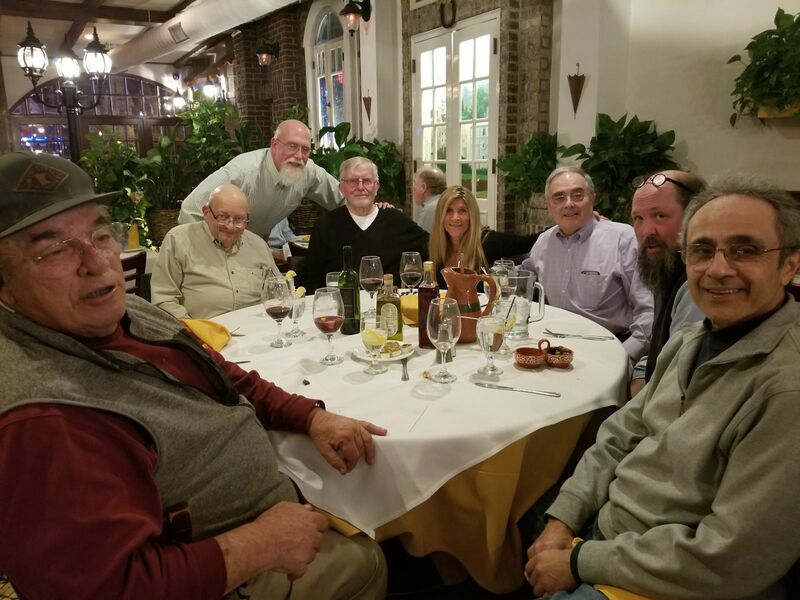 "An outing to dinner at Sol Mar, Newark Iron Bound"
Back in 1963, seven men got together to join forces and volunteered their talents to better our community. That tradition continues today. But now, both men and women work together to continue a time honored tradtion of service. Lions International's world project of sight is still on our daily planner, but our great community always tops the list of our efforts. Our club has always been a tremendous supporter of our local Senior Citizens and the youth of our community. We helped to grow the Memorial Parade to the size it is today (and also started the tradition of throwing all that candy!). We support our police and fire companys, and assist other organizations throughout the community. The Bernards Lions Club meets at the MinuteMan Restaurant on the 1st and 3rd Tuesday of the month. If you have not been to the restaurant in a while, the look is still traditional, but the food has really kicked it up a notch. Stop on by, introduce yourself, enjoy a meal, and hear about the great things we can accomplish together. Membership also looks great on a resume! Keep an eye on our current fundraisers under Featured Events. Do visit our Photo Gallery for pictures of recent events.